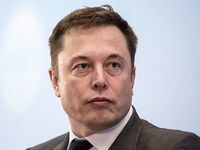 Musk Mystery Enters Day 3 as Pressure to Show the Money Mounts – Bloomberg | Thompson Investment Management, Inc.
Wall Street and Washington have the same question for Elon Musk: Where’s the money? Two days after he vowed on Twitter that he had “funding secured” for a spectacular $82 billion deal to take Tesla Inc. private, he has offered no evidence to back up the statement. No one has stepped forward publicly — or privately — to say they’re behind the plan. People with or close to 15 financial institutions and technology firms who spoke on the condition of anonymity said they weren’t aware of financing having been locked in before Musk’s tweet. We manage investment portfolios for individuals, businesses and foundations. We develop long term plans and construct custom portfolios to address each client's unique needs and objectives.